How We Keep Things Clean at HPR - and How You Can, Too! 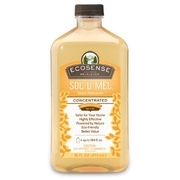 At HPR, we clean with Sol-U-Mel, a pet-friendly, biodegradable, tea tree oil-based cleaning solution from Melaleuca. It's free of chemicals and is the best product of its kind we've used. If you'd like to try Sol-U-Mel for the health and safety of your pet, give Lesley a call at (330) 534-1200 for more information. and features you should look for in a facility, on our HPR blog. 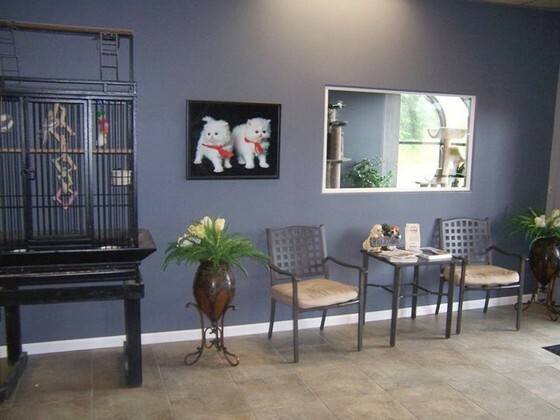 We're the preferred choice for dog and cat boarding and daycare in Youngstown, Ohio; Hermitage and Sharon, Pa.; and the entire Mahoning Valley. Just like a "people" hotel, we charge by the number of nights your pet stays with us. Check-in time, Monday through Saturday, is between 3 p.m. and 7 p.m., and check-out is by 12 noon. On Sundays, we are only open for check-in and check-out between 4 p.m. and 8 p.m. If you'd like to check-in or check-out your pet outside of the standard times listed, additional charges will apply. Mon-Sat arrivals before 12 noon, or checkouts after 3 p.m., incur a half-day daycare fee of $10. Please note: Even though we have staff on-site caring for your pet on the following national holidays, we are not open for check-ins or check-outs on these days: New Year's Day, Memorial Day, 4th of July, Labor Day, Thanksgiving, and Christmas. Available Monday through Friday, 7:30 a.m. to 7 p.m.
For dogs we require documentation that your dogs is up-to-date on: Rabies, Distemper, Bordatella (Kennel Cough) and that a Stool Sample Check has been done within the last 9 months that had a negative result. For cats we require documentation that your cat is up-to-date on: Rabies and Distemper. You provide their cage/crate and preferred food; we follow your instructions to the letter and place them in a private, quiet room. Please call us for rates and reservations. PRICING IS SUBJECT TO CHANGE WITHOUT NOTICE. PLEASE CALL OUR RESERVATION DESK TO GET THE LATEST INFORMATION.